Don’t miss this week’s installment of the MTG Fast Finance podcast, an on-topic, no-nonsense tour through the week’s most important changes in the Magic economy. And if you enjoy playing Magic, make sure to visit https://scry.land to find PPTQs, SCG Opens, and more events on an interactive map with worldwide coverage. Find Magic near you today. 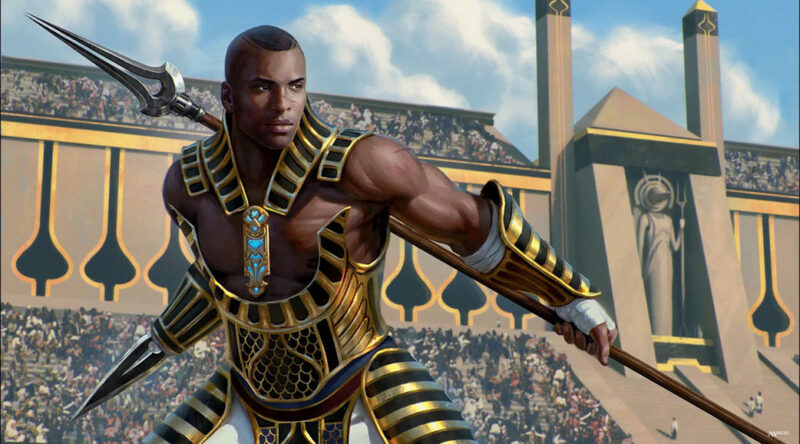 This weekend featured two Standard Grand Prix and a team constructed event over in SCG land. Standard is reasonably healthy I suppose, all things considered, although it personally doesn’t feel like that when you consider what it feels like to play with or against Aetherworks Marvel. I’m inclined to say that Wizards is considering banning it, as it’s likely more represented than they’d prefer, and it’s an especially unpleasant play experience, but it’s hard to imagine them pulling that particular trigger again already. Ulamog, the Ceaseless Hunger and Aetherworks Marvel are two of the biggest cards in the format, and they’re about $5 and $10 less than they should cost, respectively, for a couple of reasons, the primary two I’d expect that players don’t particularly enjoy this format and we’re headed into summer, a perennial lull for Magic. Given all of that, I’m inclined to stay away from Standard for a little while longer. With even the best prospects trending downward, there’s better places to turn your attention. I’m looking over at EDH mostly today, especially with some cool new decklists floating around to discuss. Remember, people only have to think it’s good for it to spike! Within the last two weeks or so, a Grand Architect Aggro strategy has popped up. Corbin recently did some streaming over here with it over here. So far it’s only been appearing online, but it could make the jump to the meatspace any day. This isn’t the first time we’ve been down this road with Grand Architect. Of course, last time they didn’t have Walking Ballista. Is that enough to put the deck into contention? Time will tell. At the heart of the deck is the mana reduction granted by four Chief Engineer and four Grand Architect. Each turns all your dudes into Birds of Paradise for artifacts. There are 24 artifact creatures in the deck, so the idea is to resolve one or two Engineers or Architects and then vomit your artifact creatures onto the table all at once. It’s Affinity-esque, and makes me wonder if there shouldn’t be Cranial Platings somewhere in there. Meanwhile you’ve also got a set of Lodestone Golems in the main, which let you play a little of the Thalia game. Since both Chief Engineer and Grand Architect apply their reduction to artifacts, not just artifact creatures, it leads me to wonder if Chalice of the Void is supposed to be in here as well. In any case, this is a fun little package that people have been trying to make work for a long time, and new pieces keep getting added each set. Of the list, Architect is the best positioned to jump in price. He’s the namesake of the deck, and probably the most important cog. Perhaps most importantly, he’s the card with the lowest supply. Chief Engineer, Etched Champion, Lodestone Golem, Blinkmoth Nexus, Cavern of Souls – all have been reprinted. Mausoleum Wanderer, Walking Ballista, and Smuggler’s Copter are all new. Supply really does position Architect well here. Copies are available in the $3 range on TCG right now with fairly low supply. Copies are available elsewhere in reasonable numbers, both cost and quantity. There’s more out there than “$100 buys every liquid copy,” but not “bulk Kaladesh rare” quantity. If this deck picks up steam – if a few others record videos and post them, for instance – I’d watch Architect for a bump. Make sure you sell immediately into any spike though, since I don’t love the competitive outlook on this strategy. Amonkhet had all sorts of fun cards for Modern, none moreso than As Foretold. (It was hard not to stick Restore Balance in as something to watch out for this week.) More quietly, Vizier of Remedies slotted directly into the existing strategy of Abzan Company. Vizier is the reason Devoted Druid is like $15 now, because Vizier lets Druid make infinite mana while still doing the Viscera Seer/Murderous Redcap thing. Big get for the deck, Vizier is. Abzan Company’s creature base isn’t terribly exciting for us, since so many pieces are so important. Viziers and Druids, obviously. Birds of Paradise. Kitchen Finks. Viscera Seer. Once you get all the combo pieces in, there’s not a lot of room to goof around. Two other slots are hard locks as well: Chord of Calling and the eponymous Collected Company. Chord is getting close to that time frame of ‘spikable,’ and perhaps most compelling is the fact that the new combo with Vizier and Druid generates infinite mana. You can go grab Emrakul. Or Griselbrand. Or Duskwatch Recruiter and activate until you find Walking Ballista. Or Rhonas, and make something giant and smash into their stupid face. Or Spawnsire of Ulamog, which you then use to cast the fifteen Eldrazi in your sideboard. Whatever. They all work. The important thing is that your tutor piece, which can find one half of your infinite mana combo, also works very, very well with just flat out killing them on the spot. This is in contrast to Collected Company, which while extremely efficient and getting guys into play, doesn’t just kill your opponent on the spot. Copies of Company start at $12 right now, and it wasn’t too long ago they were in Standard. Chord of Calling, on the other hand, is available for around $8, and the last time that guy showed up was just about three years ago in Magic 2015. Between those copies, and Return to Ravnica, there’s a fair supply for sure. Prices have rollercoasted quite a bit since then, with a spike to nearly $15 back when Shadows Over Innistrad released. It dipped through the release of Kaladesh, and is now up $1 since then. It’s not unthinkable that Chord keeps ticking for months to come, and could be strong double digits later this year. Amonkhet brought us zombies, and Pro Tour Amonkhet brought us Zombies. The well-worn tribe was out in force, and is currently a pillar of the Standard. But what about…Modern??? New additions in Dread Wanderer and Lord of the Accursed gave the deck even more options for a mono-black build, and perhaps most spicy is Wayward Servant, a powerful two drop that would push the deck into white black. Messenger is in the $5 range right now, but keep in mind that there’s zero competitive demand driving that. He’s gotten to that price point on casual demand alone. Without a reprint he’s bound for $10 as is, and if even ten people out there decide to build Modern Zombies, we could see the price double easily. A 5-0 performance would absolutely put Messenger on people’s radar long enough for a healthy upwards swing.